Looking for things to do with your kids in Salt Lake City? Utah is crawling with children, which is good news for those of us visiting the Beehive State with our families, because it means there are about a million and one ways to keep the family entertained. World-class things, like children’s museums, natural history museums, aquariums, zoos, and living history sites. So many great things, in fact, that there’s no way you’re seeing all of them in one trip. So buckle up, and get ready to make some hard decisions! 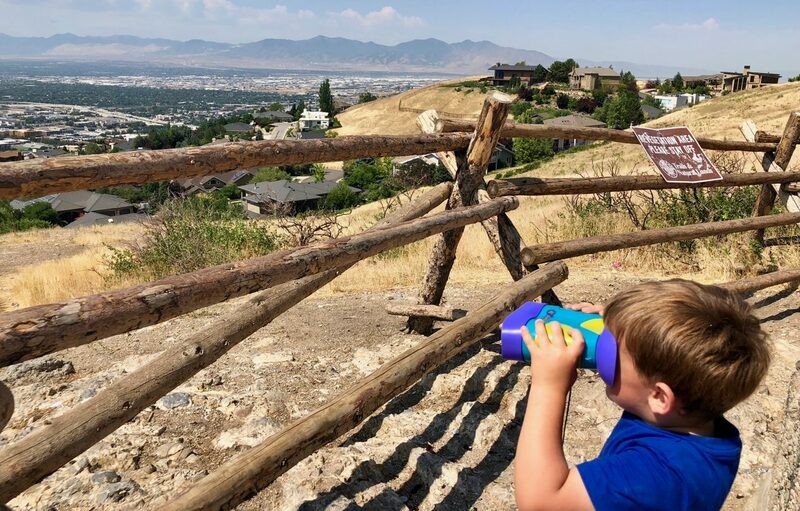 This is the Place Heritage Park tops the list of things to do in Salt Lake City because it’s my kids’ number one favorite place. It’s a park designed to make you feel as though you have stepped back in time to the 19th century, when the pioneers first arrived in Utah. In addition to having a whole village of pioneer-era buildings and people in historical dress, there are tons of fun activities for kids. To see why we love it so much and for tips for planning your visit, click here. The snake head maze in the Children’s Garden is a favorite at Red Butte Garden. 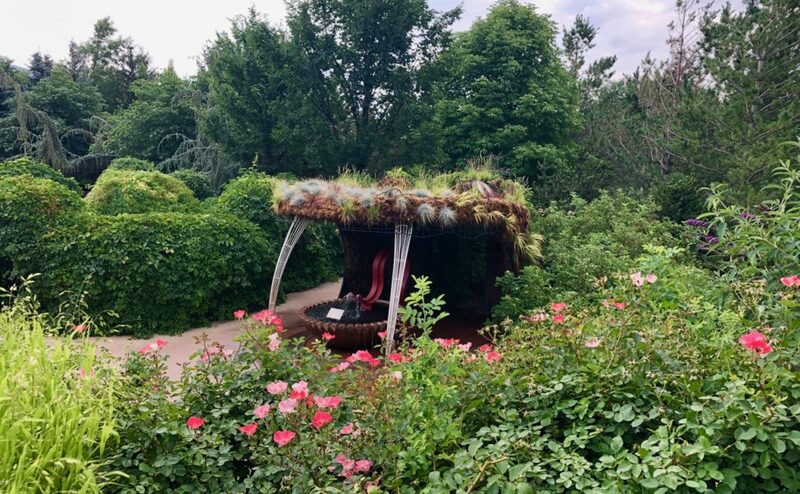 Located across the street from the Natural History Museum at the University of Utah, Red Butte Garden is something special: 100 acres in the foothills of Salt Lake City, a botanical garden in the desert. It has a beautiful Children’s Garden, with sculptures, a maze, fountains to run through in the summer, and a sandbox. The kids will also have plenty of fun just running the miles of sidewalks through this stunning place. Discovery Gateway Children’s Museum is a cute children’s museum with a few really great exhibits, including a Life Flight helicopter and fun water play area. Perfect for when the weather outside is a little too cold…or a little too hot. It’s located within The Gateway shopping and dining district, so parking is easy and tons of restaurants are close by. TRAX light rail stops right here, too, should you wish to take public transportation. I can’t say enough good things about the Natural History Museum, located at the University of Utah. It has a phenomenal collection of dinosaur bones (kids love dinosaurs!) but also a cute toddler area, indoor and outdoor corners where kids can dig in sand for fossils, and viewing windows where the kids can see scientists working on fossils. Their special exhibitions are always amazing, and keep everyone from toddlers to grandma fascinated. An aquarium in a land-locked state, you ask? Why yes! This sprawling aquarium impressed even my snobby, fish-obsessed husband. It has penguins, too, which my kids got excited about. As a bonus, this aquarium also has a large indoor play gym that is great for antsy toddlers in the winter. If you haven’t visited an aviary before, here’s your chance. Your children will be delighted by the variety of birds in this lovely place. Tracy Aviary is located inside Liberty Park, a large park in central Salt Lake City, so once you’re done chirping at birds, go explore the pond and playgrounds outside. Every city needs a zoo, and Hogle Zoo has been Salt Lake City’s since 1931. In addition to the usual animals, there’s a train ride, a carousel, and a splash pad to keep kids cool on hot summer days. Things to do in Salt Lake City That are Free! Free! Free! 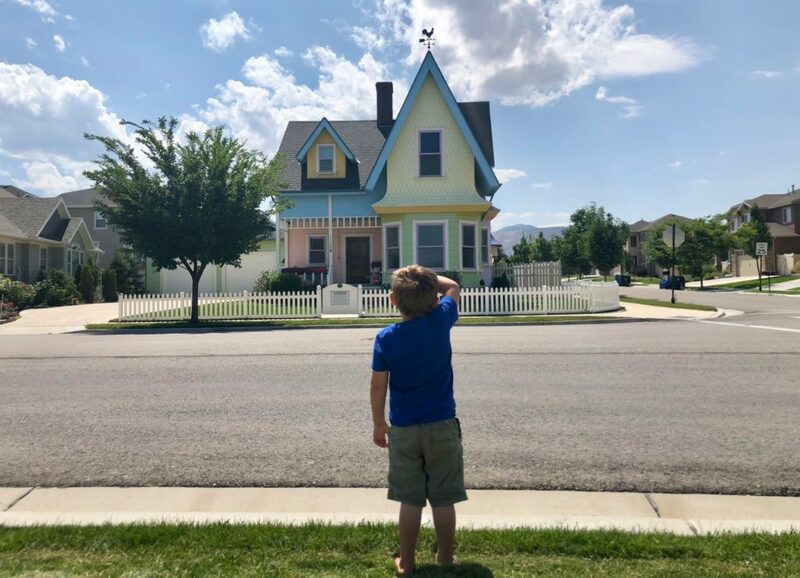 There are only so many days in a row you can afford to shell out hefty entrance fees, so we have sniffed out the best family-friendly places in Salt Lake City where you can show up without paying a dollar. Sure, you may end up shelling out some dough in the end (say, for an Imax movie or the latest Diary of a Wimpy Kid book), but at least it’s not fifty smackeroos up front. If you can’t make it to Norway, the International Peace Garden is the next best thing. A chance to visit India, Japan, Norway, and England in one day? Yes please! The kids will have a great time running around while you theorize about why some exhibits are so much more impressive than others…for example, why England is represented only by a bust of Margaret Thatcher. 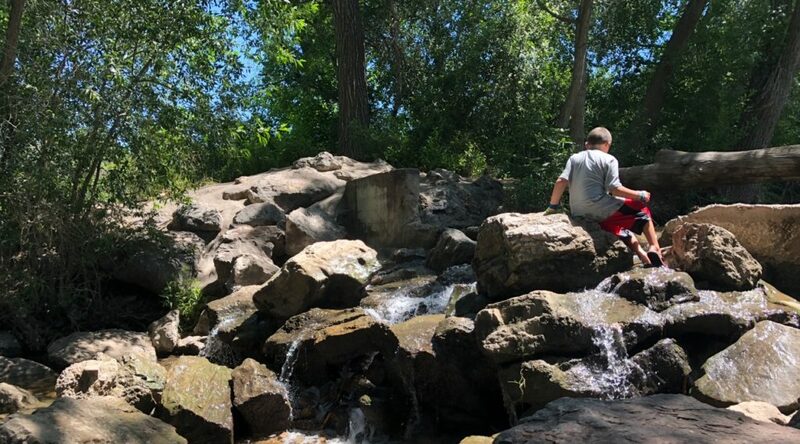 The International Peace Gardens are located within Jordan Park, next to the Jordan River Trail, one of our favorite stroller trails, and this is an especially good place to take babies and toddlers. The best part about this world-class planetarium is that it is free. It also has an astounding array of super fun and educational exhibits, including several that are video-game based and kept my kids mesmerized for hours. You can spend money watching an Imax movie or buying the types of magical science toys that are always found in planetarium gift shops, but you can also just go down the rocket slide or peep at moon rocks for free. The Planetarium is located at The Gateway, where parking is easily available in the underground parking garage, but for bonus excitement, take Trax to Clark Planetarium. Salt Lake City’s light rail stops right in front of the main door. Parleys Creek runs through Sugarhouse Park and is a popular and perfect place to cool off in the summer. Sugarhouse Park is among the largest public parks in Salt Lake City. 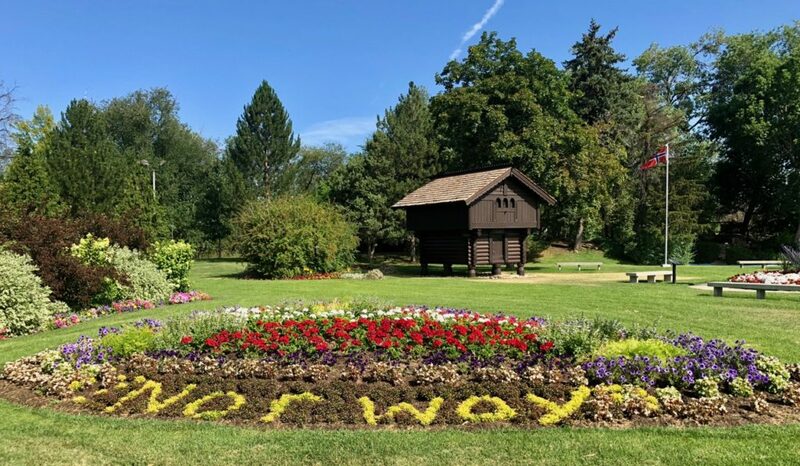 It’s one of the best places to feed ducks in the summer and to sled hills in the winter, and it’s a lovely place to take a walk with a stroller. When the thermometer hits 90, it’s time to cool off in the cold water of Parley’s Creek. The park has a one-way road looping through it, and if you drive about three-quarters of the way around, you will see a parking lot with a playground off to the left. Behind the playground, hidden in the trees, runs Parley’s Creek. Kids can splash, build dams, and throw rocks (in the water not at each other), plus run back and forth between the creek and the playground. Pack a picnic and you have the perfect day ahead of you. The King’s English is the type of perfect independent bookstore I wish was on every corner: quirky exterior, old-house feel interior, packed to the gills with every book you could ever want, and plenty of unique gifts for book lovers. Best of all, it has the type of knowledgeable book store employees that will spend twenty minutes with your picky eight-year-old, suggesting and discarding books until they find just the right new series for him to attack. True, it will be hard to get out of here without spending any money, but browsing is free! Liberty Park is Salt Lake’s version of Central Park: in addition to a playground and splash pad, it has Tracy Aviary, a duck pond, hills, trees and trails, a public pool open in summer, and the Seven Canyons sculpture. This used to be Seven Canyons Fountain and my very favorite place to take toddlers in the summer. Unfortunately, it’s no longer a “fountain,” as the city drained it a few years ago due to health and safety concerns. It’s still a pretty impressive sculpture showing the seven major canyons around Salt Lake City sculpted out of rock, with what should be creeks running down to the Jordan River and the Great Salt Lake. Good for a brief geography lesson and still a fun place to run around, if not nearly as impressive as it used to be. Wheeler Historic Farm is another gem of Salt Lake County’s park and recreation system. Free entrance to a place with farm animals, a blacksmith shop, a historic farmhouse, miles of trails, and a playground? Sign us up! 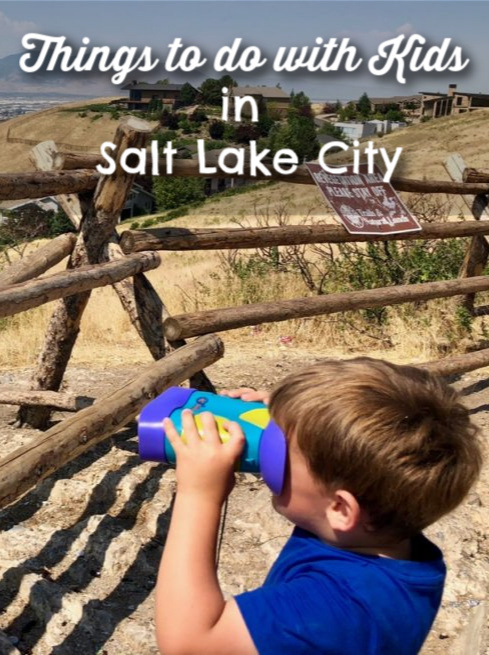 This is another of our family’s favorite places to go when we visit Salt Lake City; you can read about why we love it and get more tips for your visit here. Have you ever seen a house like this? No, you haven’t. The UP house, Herriman, Utah. In Herriman, a suburb of Salt Lake City, there is a house. A house that is an exact replica of the house from the movie UP. No, I am not kidding. Yes, you can go take pictures of it. The house is owned by a Disney-loving woman and her family; she happily allows visitors to take selfies from the outside as long as you are respectful and just there for a few minutes. Make sure to spy the super cute Rapunzel tower that peeks over the backyard fence. If you want to see the inside, or take extensive posed shots of the outside, you’ll have to pay for a photo shoot there. See the owner’s website for more information. While you’re on a movie kick, you should also be aware that movies have been filmed at multiple locations in and around Salt Lake City, including High School Musical at East High School in Salt Lake City and Footloose at the Lehi Roller Mills in Lehi, 30 miles south of the city and right off of the freeway. There are also multiple movies that have been filmed on the wide-open expanse of the Bonneville Salt Flats west of the city, including Independence Day. If you have a few hours to kill and don’t mind spending them driving 70 mph down a freeway, all this trip will cost you is gas. If you are looking to expose your children to some pioneer history, my first choice is This is the Place Heritage Park. However, if you don’t want to pay an entrance fee, you have two options: visit the LDS Church’s Church History Museum or the Daughters of the Utah Pioneers’ Pioneer Memorial Museum. Both are free and closed on Sundays. The Church History Museum is located across the street from Temple Square and has a decidedly religious bent, as one would expect; the Pioneer Memorial Museum is near the Capitol and has an extensive array of pioneer-era artifacts. Both places would be more interesting for older kids. Hiking is free and plentiful all over Utah. Salt Lake City is in a valley, which means there are lots of great places to look out over the city, day or night. With our kids, a short hike to a lookout means we can pretend we have actually summited a mountain, so a day we can make it to Ensign Peak or Pete’s Rock is a happy day. Gilgal Garden must be seen to be believed. Gilgal Garden is a really, really unique place. By which I mean pretty weird, and probably not totally appreciated by kids. That said, it’s free, and if you are visiting Salt Lake City I think it’s a must-see. 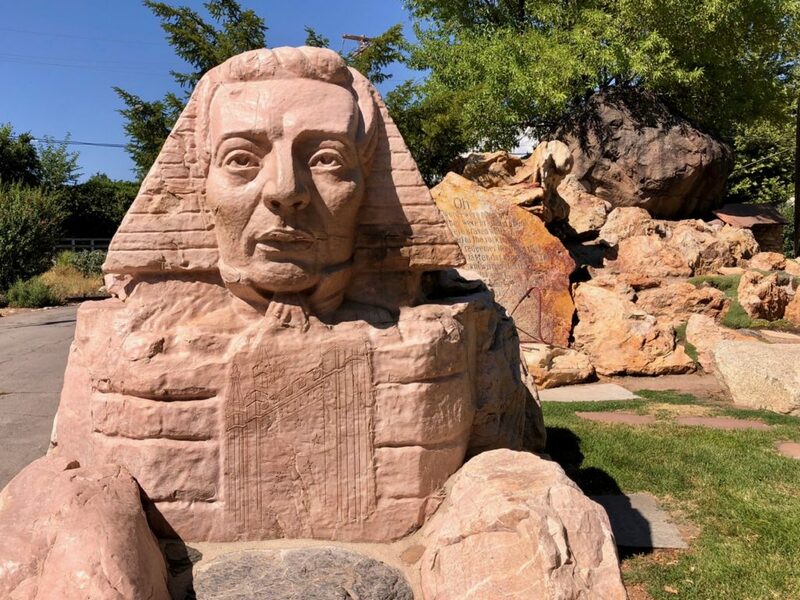 The garden is located in the middle of a city block in downtown Salt Lake City, tucked behind houses and businesses, and is full of sculptures that are essentially an homage to LDS religion and the Masonic tradition. You kind of have to see it to believe it. Salt Lake City’s flagship public library is one of Utah’s most striking examples of architecture, and worth a visit just to see it in person. It’s on a sprawling downtown block, with plenty of space for kids to run. Go explore the children’s section of the library, and when the kids tire of that, visit the public garden and beehives on the rooftop terrace. I didn’t believe it at first, but it’s true, I’ve seen it with my own eyes. For the past few years, “Christmas in the Wizarding World” has come to the Shops at South Town. Picture a tiny Hogsmeade Village in the middle of a mall. In 2018, it ran from November to January. 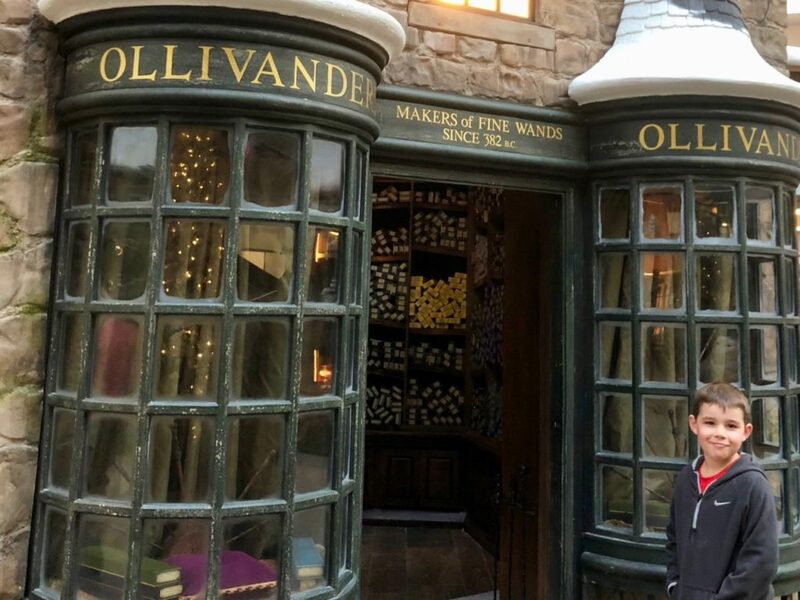 You could take pictures with props in front a green screen, buy a wand from Ollivander’s or pick up some chocolate frogs, or toss a Quaffle through a hoop. Basically, you just saved yourself a trip to The Wizarding World of Harry Potter in a giant amusement park. You’re welcome. Would you believe we are not actually in Diagon Alley?! Taken November 2017, Shops at South Town, Sandy, Utah. This beautiful shopping center across the street from Temple Square has choreographed fountain shows and a burbling brook running through it in addition to coffee shops, restaurants, and every store you could possibly want. During the Christmas season, its location makes it a perfect place go when you want to see the lights at Temple Square. The Gateway shopping center’s big draw for kids in the summer is a fountain that doubles as a splash pad. The Gateway is also the location of the Discovery Gateway Children’s Museum and the Clark Planetarium, as well as a movie theater and restaurants, so it’s easy to spend a whole day here. Be aware that it’s an open-air shopping center so if it’s bright and sunny, you wouldn’t be wrong to wear sunscreen to shop. You may have to drive up to an hour to get to some of these…but trust us, they’re worth it. If you’re willing to go even farther, check out our some of our favorite day trips from Salt Lake City. Thanksgiving Point is located in Lehi, 30 miles south of Salt Lake City. It encompasses The Museum of Natural Curiosity, by far the best children’s museum in the state; Farm Country, a farm experience where kids can see working animals; Ashton Gardens, stately manicured gardens pleasant for a stroll; the Museum of Ancient Life dinosaur museum; and a Butterfly Biosphere. Each attraction has its own set of entrance fees, and you probably wouldn’t want to do more than one at at time. We’ve never been disappointed by a visit here. Tip: don’t miss visiting the retro ice cream shop before you leave. Lagoon features prominently in all my childhood memories, so when I visited again recently I was worried it might not live up to the nostalgic hype. However, Utah’s only and best amusement park has only gotten better over the years. Lagoon has a water park, excellent toddler rides, entertaining shows, a peaceful pioneer village section for people who need to escape the excitement, and some impressively terrifying rides as well. It’s seasonal, so it’s only open June through August, except for select weekends in September and October for Halloween-themed events. It’s located 17 miles north of Salt Lake City in Farmington, Utah. Alpine slides are a great use of the ski resorts in summer. Utah Olympic Park is only about a half hour from Salt Lake City, in Park City, and absolutely worth the short drive. Professionals still train here, and in the summer you can watch skiers do flips into the pool from a viewing platform. For free, you can also visit an Olympics-themed museum, hike surrounding trails, and play on the Discovery Zone playground. For a fee, there are many other available activities, including bobsled rides, ropes courses, airbag jumps, obstacle courses, and chairlift rides. Stop me if I’m telling you something you already know, but Salt Lake City is surrounded by ski resorts. In winter, you can, of course, ski. Don’t forget to pay those resorts a visit during the summer months, though. It’s cooler up there in the mountains, of course, but the ski resorts have also found lots of other ways to entice you to visit. A popular summer activity is to take chairlift rides up the mountain and then hike down. Many ski resorts have developed alpine slides now, too. 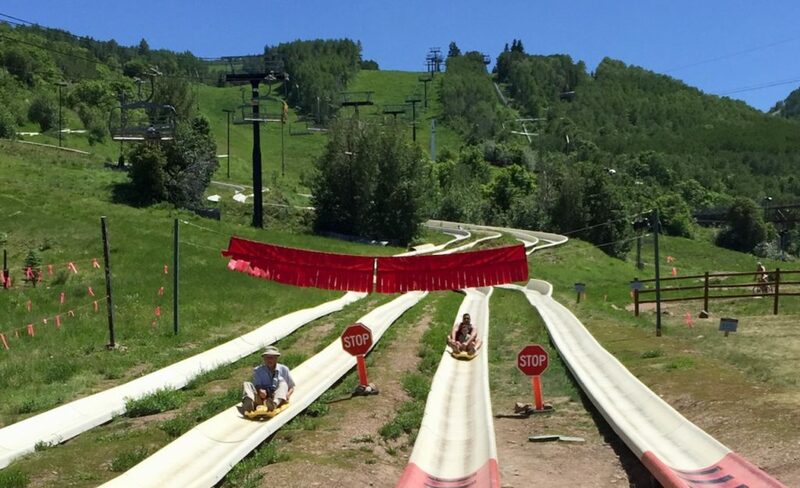 Park City Mountain Resort has a ton of summer activities, including alpine slides but also a kids ropes course, mini golf, and zip lines. Snowbird also has developed a list of similar summer activities, also including summer tubing; it also has an aerial tram which can be fun if your kids are wary of a chairlift. What’s your favorite thing to do with kids in Salt Lake City? Did I miss something?